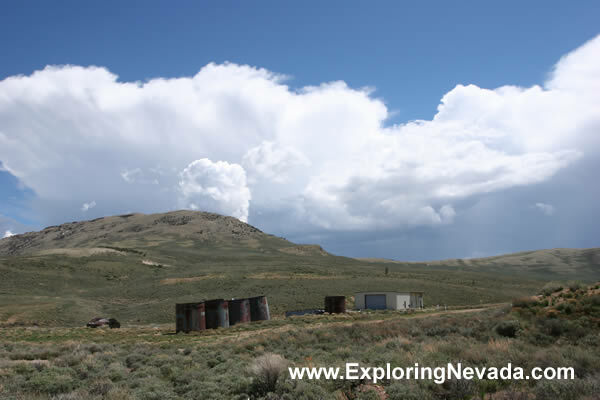 One thing about spring thunderstorms in the moutnains of Nevada, they form amazingly quickly. This thunderstorm made the voyage back down to US Highway 50 an interesting one, and I was most happy to have four-wheel drive. By the time I reached pavement, my pickup truck was covered in a sticky mud. Additionally, as can be seen here, there is some sort of development at Hamilton. I have no idea what that building is, but it is relatively new. Perhaps for government use? Or road maintenance? Truthfully, I have no idea!